Bringing holiday cheer to patients of Boston Children's Hospital! 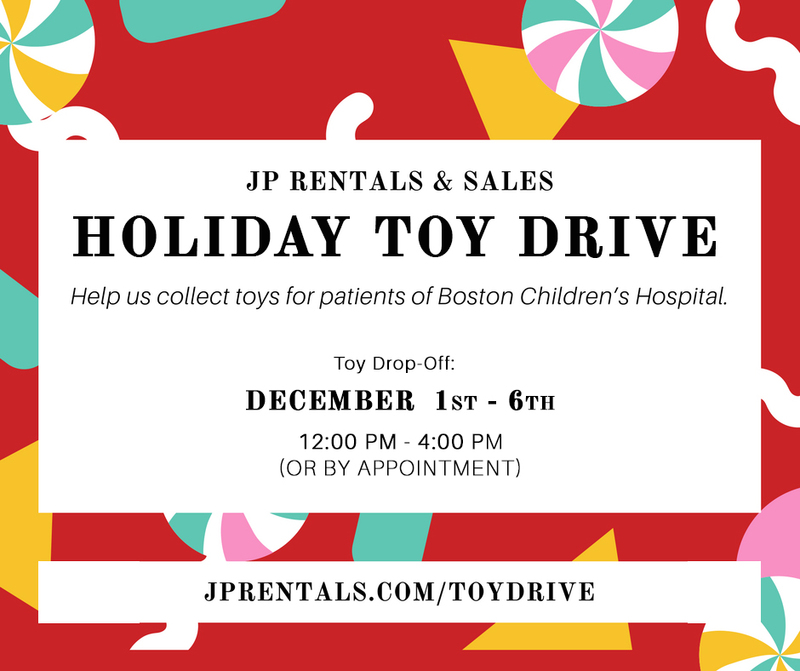 The JP Rentals Team will be hosting our first annual Toy Drive for Boston Children's Hospital this year. Spread the word! Help us bring smiles to patients and their families. We'll be collecting toys for 'Santa's Sack' from December 1 - December 6th, from 12PM - 4PM or by appointment (info@jprentals.com). We'll even have optional cards if you'd like to leave a cheerful note! If you live out of town and want to participate, we can accept deliveries direct to our office. Please join us in making a difference. Prior to purchasing or delivering your gift, please click here to review Boston Children's Donation Requirements .